The mountains of the Fagaras, often referred to as the ‘Alps of Transylvania’ provide the opportunity for one of Europe's best and most intoxicating ridge walks. Hikers that take on the immense ridge are rewarded with breathtaking views and culminating with an ascent of Moldoveanu, which at 2544m is the highest peak in Romania. Two days are also spent trekking in the equally stunning Piatra Craiului National Park, which is home to wolf, bear and the elusive lynx. From there, the group will travel to the Balea waterfalls for a trek to Balea Lake. Of course no trip to this part of the world would be complete without a trip to the fabled Bran Castle – more commonly referred to as ‘Dracula’s Castle’. The castle is situated near Bran and in the immediate vicinity of Brasov, and is a national monument and landmark in Romania. 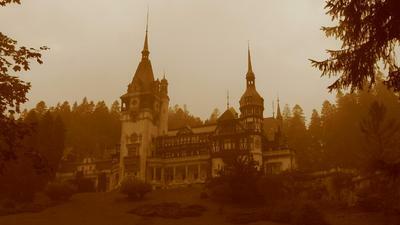 The itinerary ends with a night in the bohemian city of old Brasov. The walking holiday is graded ‘C’ (demanding) walking between 2-5 hours per day, often at high altitude. The walking is mostly along well defined waymarked trails, although the terrain is quite rugged, conditions underfoot are usually good. There are a few short sections where the trail is rougher or indistinct. The trip departs on 8 September and costs from £655 pp. This includes airport pick-up, all ground transportation, 7-nights’accommodation (pension/mountain huts), most meals and an English speaking Romanian mountain guide. Flights bookable on request. For more information, visit walksworldwide.com.